In 1612 during the summer months, Galileo made a series of sunspot observations which were published in Istoria e Dimostrazioni Intorno Alle Macchie Solari e Loro Accidenti Rome (History and Demonstrations Concerning Sunspots and their Properties, published 1613). Because these observations were made at appoximately the same time of day, the motion of the spots across the Sun can easily be seen. What was observed by us in the third place is the nature or matter of the Milky Way itself, which, with the aid of the spyglass, may be observed so well that all the disputes that for so many generations have vexed philosophers are destroyed by visible certainty, and we are liberated from wordy arguments. —Galileo Galilei in Starry Messenger (Sidereus nuncius), 1610. The Starry Messenger, published in March 1610, announced discovery of craters on the moon, a multitude of stars beyond those few seen by unaided eyes, and the 4 satellites of Jupiter. More importantly, the book “told the learned community that a new age had begin and that the universe and the way in which is was studied would never be the same.”1 From then on, theories about the universe had to be tested against the visual evidence of empirical observation. This is the forever idea in Galileo’s book. And so armchair speculation, parsing Aristotle and religious doctrine, and philosophizing were no longer good enough. Evidence became decisive in understanding Nature. 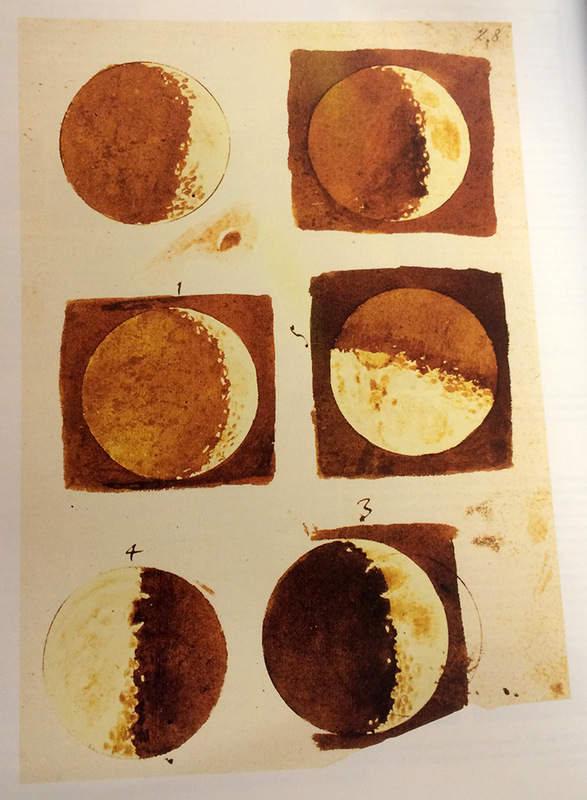 A photograph of the reproduction of Galileo Galilei’s Disegni della Luna, novembre-dicembre 1609, Firenze, Biblioteca Nazionale Centrale, Ms. Gal. 48, c. 28r, from Tufte’s Beautiful Evidence.